Individual retirement accounts (IRAs) have become incredibly popular tax-advantaged retirement savings vehicles. However, when an IRA owner passes away, the IRA will transfer to the beneficiary designated on the account. What happens next really depends on the deceased owner, the beneficiary, and the assets in the IRA. Inheriting an IRA can be simple or extremely complicated, and for this reason, let’s take a look at the major things to know when you inherit an IRA. IRA Type: The big decision here concerns whether the IRA is a Traditional or Roth IRA. Traditional IRAs and Roth IRAs are both subject to required minimum distributions after the death of the owner. However, Roth IRAs are generally going to be income tax-free distributions for the heirs and a Traditional IRA will likely subject the heirs to ordinary income taxes on withdrawals. With a Traditional IRA, some of the funds could have been put in after-tax or non-deductible. As such, you need to ensure that you know the type of account you inherit and determine whether there is any cost basis or non-taxable portion of the account. 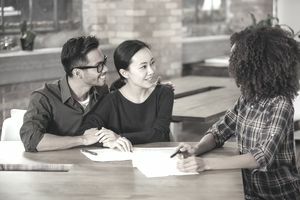 Beneficiary Relationship: Perhaps the single biggest factor impacting what happens to an IRA when it is inherited is the relationship of the beneficiary to the deceased IRA owner. There are different rules for spouses, non-spouses (i.e., children), and non-person beneficiaries (i.e., trusts, charities, estates). Spouses who inherit an account have the greatest flexibility, as they may roll the inherited IRA into their own account, leave in the name of the deceased spouse, or even retitle the account in their name. Distributions: Inherited IRAs can always be distributed as a lump sum. However, it is often best to stretch out the distributions over time if possible. Furthermore, inherited IRAs are often subject to required minimum distributions (RMDs). Spouses can often get around the RMDs in some cases by retitling the account or rolling the IRA to their own IRA. However, if the inheriting spouse is past age 70.5, this will not help. For non-spouses, the beneficiary must take distributions in the year following the year of death of the original owner, or over a 5 year period. If you take distributions within the 5 year time period, the account will be liquidated faster than if you stretch out the RMDs over the course of the beneficiary’s fixed life expectancy. For non-person beneficiaries, the account will be liquidated faster as they do not have the ability to stretch out the distributions over the life of the non-person entity. Instead, they often have to take distributions in a lump sum, over 5 years, or over the remaining life expectancy of the decedent owner at the time of death, if the owner died after 70.5. Let’s say that you inherit a parent’s IRA. Upon passing away, they were 75, and you are now 50. How do we figure out the RMD? First, you determine your age at the year-end following the IRA owner’s year of death. Second, you look up the IRS table for life expectancy based on that age. In our example, a 50-year-old has a life expectancy factor of 34.2. This creates your divisor. You then take the IRA account balance from the previous year as of December 31 (let’s say $500,000) and divide it by the life expectancy 34.2. This gives an RMD for the year after the owner’s death of $x. From this point forward, you take the life expectancy and subtract 1 for each subsequent year. So two years after the owner’s death, you would use the divisor of 33.2 (34.2 minus 1). For more information, check out IRS RMD chart for IRAs. Unearned income is taxed under a set of tax rules often referred to as the “Kiddie” tax rules. The rules are in place in part to discourage income tax shifting from parents to children. Distributions from an IRA qualify as unearned income and are subject to the Kiddie tax rules. The rules apply to unearned income for those under age 19, or 24 if a full-time student. The first $1,050 of unearned income is not taxed, between $1051 and $2,100 of unearned income is taxed at the child’s tax rate, and income above $2,100 is taxed at the estate and trust tax rate schedule. What this means for a minor who inherits an IRA is that any distribution above $12,500 is going to be taxed at the highest individual rate of 37 percent. That is a significant tax. However, the good news is that since minors also have a long life expectancy, meaning their RMD is relatively low, unless the IRA is extremely large, the RMD is less likely to meet or exceed the $12,500 range. However, if you look at a $500,000 inherited IRA for a 16-year-old, the divisor is 66.9 years, which would result in an RMD of $7,473.84 and be subject to a 24 percent tax rate. Inheriting an IRA provides access to funds, but is subject to a tremendous amount of complexity with regard to taxation and required minimum distributions. If you inherit an IRA, make sure you understand the RMD rules that apply because if you fail to meet the RMD requirements, you may be subject to a 50 percent penalty tax on top of your ordinary income taxes for any RMD that you fail to take during that year. If you have questions about an inherited IRA, talk to a qualified retirement planning professional to assess the best way to manage and distribute the account to maximize your benefits and keep taxes low.